*6-day intensive treatment protocol for refractory chronic prostatitis/chronic pelvic pain syndrome using myofascial release and paradoxical relaxation training. *Benefits of massage-myofascial release therapy on pain, anxiety, quality of sleep, depression, and quality of life in patients with fibromyalgia. *Comparison of an indirect tri-planar myofascial release (MFR) technique and a hot pack for increasing range of motion. *The immediate effect of soleus trigger point pressure release on restricted ankle joint dorsiflexion: A pilot randomised controlled trial. 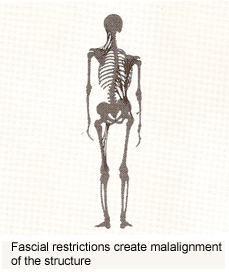 Since many of the standard tests such as x-rays, myelograms, CAT scans, electromyography, etc, do not show the fascial restrictions, it is thought that the extremely high percentage of people suffering with pain, bladder/incontinence problems, and/or lack of motion may be having fascial problems, but most go undiagnosed. The John F. Barnes Myofascial Release Approach consists of the gentle application of sustained pressure into the fascial restrictions. The gentle pressure applied slowly allows the viscoelastic fascia to elongate, positively effecting the negative conditions previously stated. Vicki studies exclusively under John F. Barnes, P.T., founder of the Myofascial Release approach, attending classes nationwide as in Cape Cod, Philadelphia, and Sedona, California and in particular Fascial Pelvis, Craniosacral, Dental and Fascial Trauma and Brain Therapy for infants and children. *In vitro modeling of repetitive motion injury and myofascial release. *Multipractitioner Upledger CranioSacral Therapy: descriptive outcome study 2007-2008. *A randomized controlled trial investigating the effects of craniosacral therapy on pain and heart rate variability in fibromyalgia patients. *Temporal bone misalignment and motion asymmetry as a cause of vertigo: the craniosacral model.Christine DC. *Temporal bone misalignment and motion asymmetry as a cause of vertigo: the craniosacral model.Christine DC. SourceThe Dartmouth Institute for Health Policy and Clinical Practice in Lebanon, New Hampshire, USA. Myofascial Release John Barnes classes are always taught in beautiful locations where you can get close with nature. Here is one example of that with an outing I took with fellow Cape Cod, MA classmates. The whales were very close to us. The Dolphin Fleet has been taking people out to see the whales for many years and the crew recognizes each whale and shared with us their names, histories, and family relationships amongst them. Have You Ever Been Whale Watching? It Was My First Time and I Loved It! What What the Most Fun Thing That You Have Ever Tried? Please Share Below.